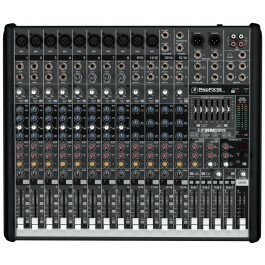 Professional 16 Channel mixer with 10 Mic preamps and onboard effects. 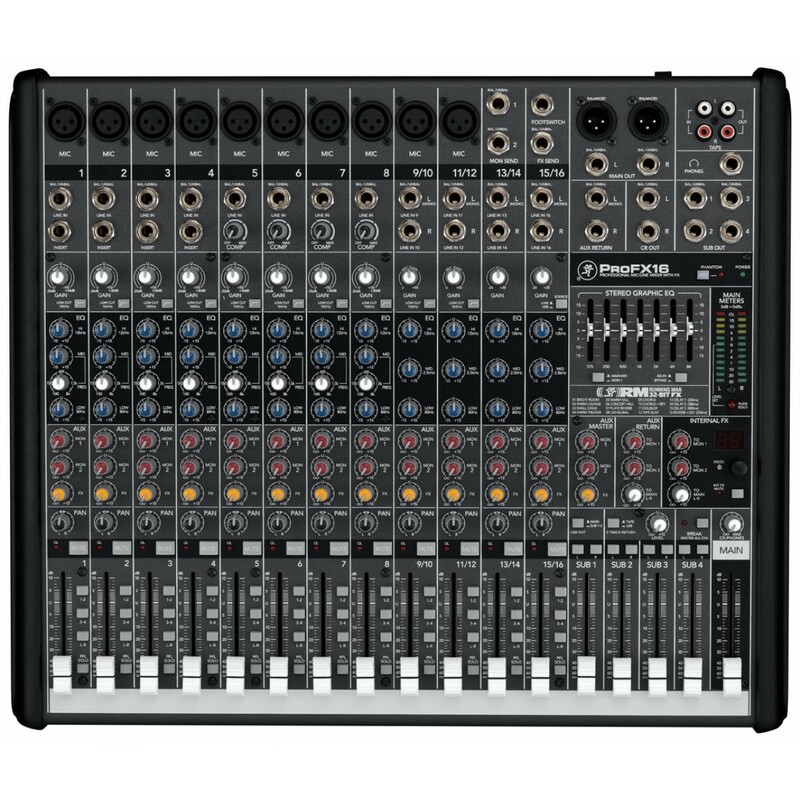 The ProFX16 is the clear solution for any midsized venue or band that needs great sound, but doesn’t have the budget or space for tons of outboard gear. To lose the rack, built-in tools like compression and graphic EQ are crucial. The ProFX16 has everything needed to make your gig sound great and is really easy to operate. Plus, USB I/O lets you record the show or stream music straight from a laptop. The “Pro” in ProFX stands for Pro. Professional tools, rugged build quality, space-saving footprint…everything you need. The ProFX16 is loaded with 10 Mackie low-noise mic preamps, 3-band EQ with sweepable mid, integrated “Gig-Ready” effects, precision 7-band GEQ and more. It has all the right tools, each and everyone designed to sound great. Perfect for portable applications, the ProFX16 is housed in an ultra-tough enclosure with impact-resistant sidecheeks. Plus, road warriors can simply rack-mount the ProFX16 for additional protection.